Norris Farms is conveniently located off of Bell Road in Montgomery, AL, right across the street from Lighthouse Christian Academy! 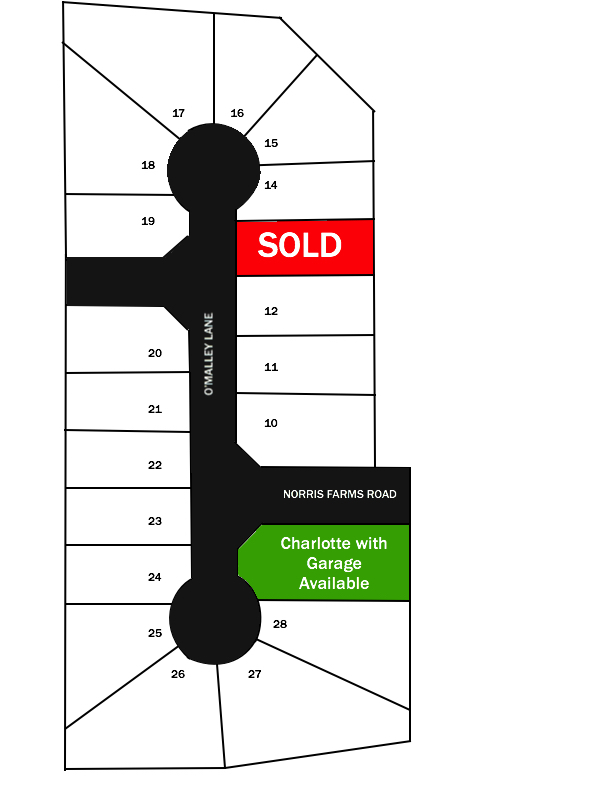 Norris Farms offers large, flat homesites, perfect for your new high performance home! All homesites are cul-de-sac lots, ensuring safety and quiet. All homes offer 2 car garages, wood burning fireplaces, and the most efficient construction techniques and products -- ensuring your home is affordable to buy AND own! Financing: $0 down! Payments start at $899! Builder pays $3000 toward closing costs! Directions: Turn off Vaughn road onto Bell Road, heading toward 231 south. Norris Farms on the left 4th entrance and well marked.